In collaboration with a leading telecommunications company, M1 Ltd, researchers from NTU Singapore will be mapping the signal strength of M1's 4.5G Heterogeneous Network (HetNet). Knowing the exact cellular signal strengths of Singapore's airspace will allow air traffic planners to know which routes are safe to fly for unmanned aircrafts and which routes are to be avoided due to poor signal coverage. A memorandum of understanding for the research project was signed today between M1 and the Air Traffic Management Research Institute (ATMRI), a joint research centre between NTU Singapore and the Civil Aviation Authority of Singapore (CAAS). 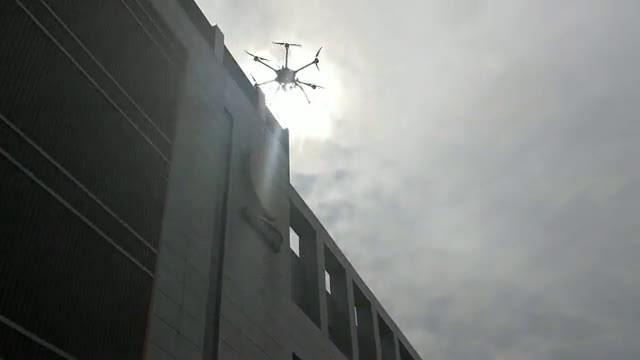 This partnership builds on the successful trials which both parties conducted in three different locations in Singapore, using M1's 4.5G HetNet, to provide command, control and communication capabilities required for safe and efficient drone operations. Current airspace regulations in Singapore state that all Unmanned Aircraft Systems (UAS), commonly known as drones, have to be flown within line-of-sight of their operator. Conventional drone operations use an unlicensed spectrum such as 2.4 GHz band to provide short-range line-of-sight wireless connectivity but it is susceptible to radio signal interference. In contrast, a well-optimised 4.5G HetNet provides secure, low latency and high throughput mobile connectivity, enabling drones to fly beyond visual range in an urban environment. In addition, drones could send real-time data and telemetry feeds during flight, with their precise aerial locations monitored over M1's 4.5G HetNet. This paves the way for a dynamic and robust unmanned aircraft traffic management solution required for the smart utilisation of Singapore's urban airspace and its surrounding sea-to-shore coverage. NTU Singapore Professor Vu N. Duong, Director of the ATMRI, said command and control of UAS is a topic of critical importance especially when commercial usage of drones is taking off for logistics, surveillance and recreational use. "NTU Singapore is at the forefront in both autonomous vehicles as well as air traffic management research. We are working now to establish an air traffic system which can effectively control and regulate UAS traffic in a congested airspace. By working with key industry partners like M1, we aim to translate our knowledge into practical applications beneficial to Singapore and other megacities," Prof Duong said. Mr Denis Seek, Chief Technical Officer of M1, said, "This collaboration is another innovation to accelerate Singapore's transformation towards a Smart Nation. Interest in drones has already taken off beyond recreational and hobbyist groups, into serious commercial applications. Mobile technology has the potential to expand and extend the capabilities of drones to enable incredible new applications such as using drones to perform search & rescue operation at remote or inaccessible sites, aerial infrastructure surveillance, delivery of parcels quickly and efficiently, and even new entertainment channels such as first-person view drone race." Leading this joint research project will be Professor Low Kin Huat, an expert in robotics and UAS from NTU's School of Mechanical and Aerospace Engineering, and ATMRI senior research fellow Mohamed Faisal Bin Mohamed Salleh. Together with engineers from M1, the project will map out the signal strengths of M1's 4.5G HetNet performance at altitudes up to 130 metres (400ft), or about the height of a 36-storey building, using UAVs. This will help researchers to identify potentially usable airspace for drones which have sufficient signal strengths to enable proper command and control. 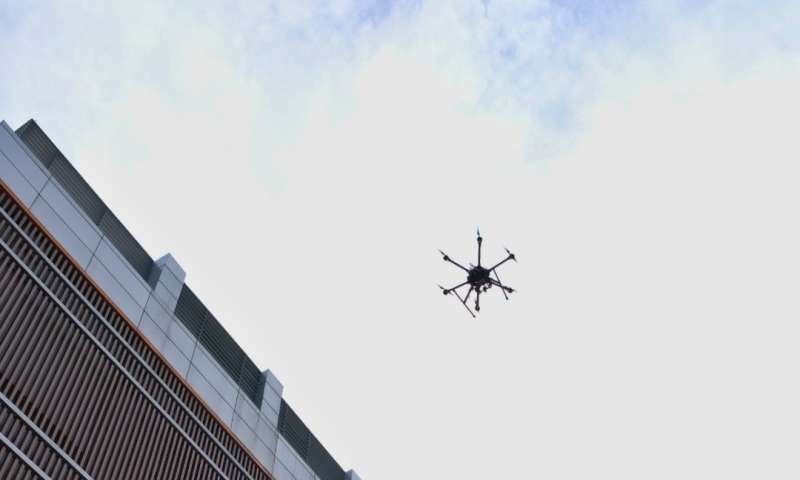 The researchers will also test piloted and autonomous drone operations beyond line-of-sight using 4.5G HetNet, which could pay the way for a similar use in the future 5G networks. The joint research project findings will contribute to NTU Singapore's development of traffic management solutions for unmanned aircraft systems, an objective that was announced in December 2016 by NTU.